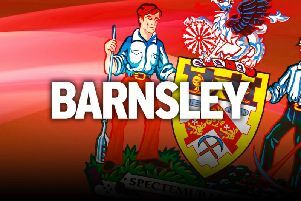 Barnsley Football Club and its loyal supporters are mourning the death of former custodian Patrick Cryne. Tributes poured in yesterday for lifelong Reds fan Cryne who sadly died aged 66 at the weekend after losing his fight against cancer. Cryne recently sold the Championship club to a consortium to secure its foreseeable future. And the former owner was admired by many for having revitalized the South Yorkshire club under his professional 14-year tenure. “We are devastated Patrick Cryne has passed away,” said an official club statement. “The club fully acknowledges that this news will be deeply upsetting to many people but we ask for privacy at this painful time. Cryne, who owned the club from 2003-2017, sold his controlling stake in his hometown club to a consortium led by Chinese billionaire Chien Lee last month, which included Moneyball pioneer Billy Beane and American businessman Paul Conway. However, the Cryne family retains a 20 per cent stake in the club, with his son James a director of the new board. During Cryne’s time at Oakwell, the Reds twice won promotion from League One, reached FA Cup semi-finals in 2008 and won the JP Trophy in 2016. However, Cryne announced in November 2016 that he was stepping away “for the foreseeable future” having being diagnosed with cancer. In September last year he wrote a poignant letter to the club’s supporters, published in the match programme for an EFL Cup tie against Derby County, in which he acknowledged he was “living on borrowed time”. “I live in pain, but living is better than the alternative. Cancer is insidious, cruel and rapacious and I implore everyone to have regular checks to stop it gaining hold. “Recent months have brought into focus the things that are important to me. I have spent a lot of my life pursuing the ultimately pointless when there were better things to do. “My family have always been important to me but I should have spent more time telling them so. I do now and it creates joyfulness in our relationships. “Of course, my football club has been important too and I am lucky that my family have shared my love of Barnsley FC. “There are many things I wanted to achieve before my custodianship of our fabulous team ended at the hand of the Grim Reaper. “Most people realise I was a reluctant custodian but what has made it bearable against the occasional cruelty of the internet world is the kindness shown to me by so many fans on a personal basis.